File box shelves are specifically designed for boxes. Each box fits perfectly on the shelf and each shelf fits within the unit. This maximizes every inch of storage space, leaving nothing wasted. 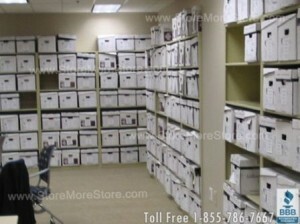 Another advantage to using file box shelves is the protection they provide your stored items. Keeping boxes stored in the unit ensures they won’t be crushed or damaged. Every box remains safe and secure. The boxes are also easy for employees to access. By storing the most frequently requested items in the middle of the file box shelves, employees won’t need to reach, bend, or lift to retrieve a box. Not only are you protecting your employees, you’re protecting your business from workers’ comp claims. 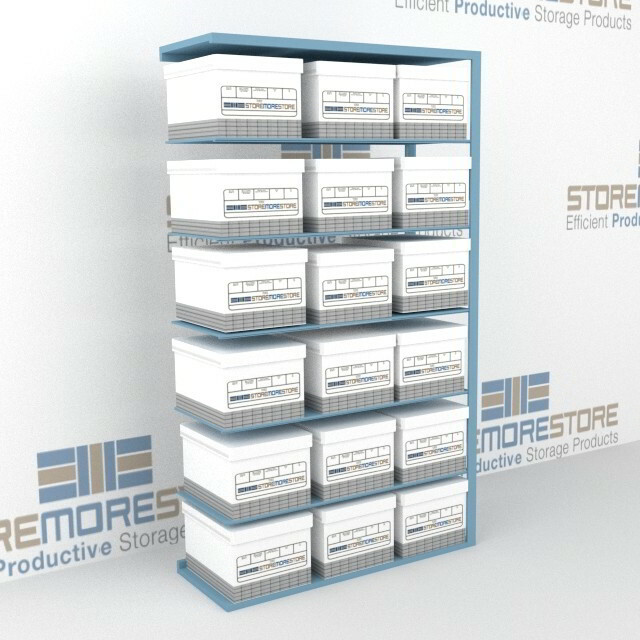 Depending on how many boxes you need to store and your storage space, we have two file box shelves options. The first is a stationery file box shelves unit. 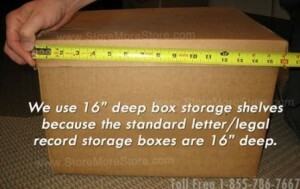 This unit is ideal for very small spaces, or if you don’t have very many boxes to store. It’s also the most inexpensive option, which is great for limited budgets. 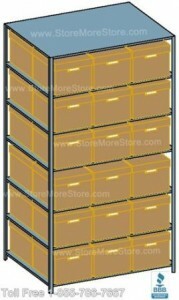 The second option is mobile file box shelves. The mobile set-up places rows of shelves in front of each other. The front rows slide on tracks to give you access to the back rows. While this is a more expensive option than the stationary unit, it’s perfect for offices with more boxes to store. And the mobile file box shelves maximize floor space, so they work in tight spaces and will better centralize box storage. 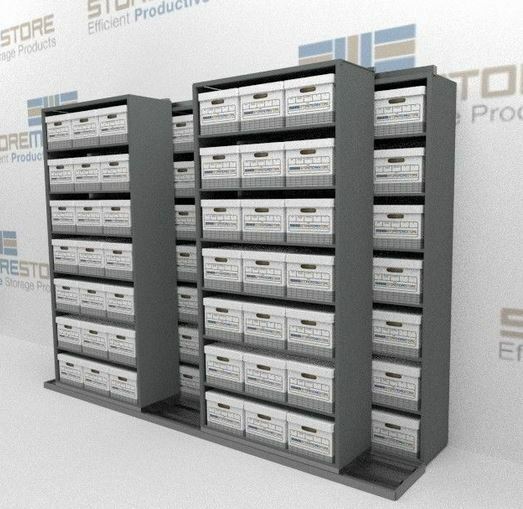 To learn more about each of our file box shelves options, give us a call at 1-855-786-7667.